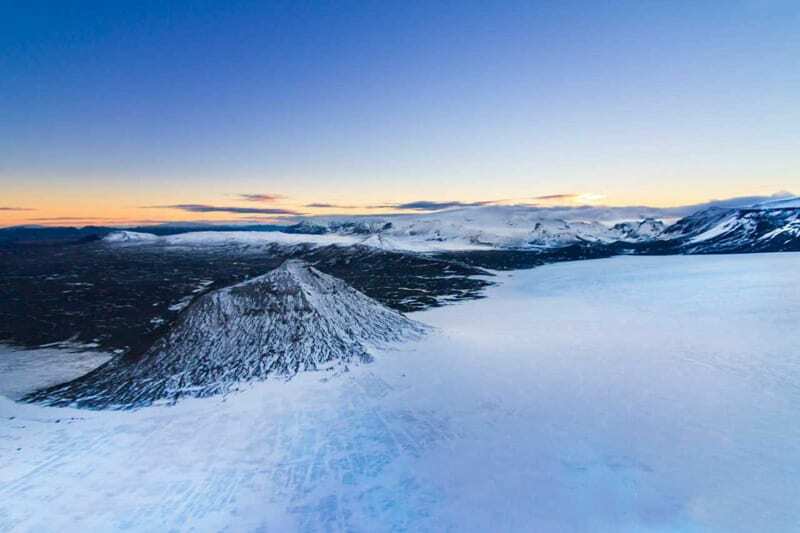 The Fire & Ice tour is truly a unique opportunity to explore Iceland from the skies! 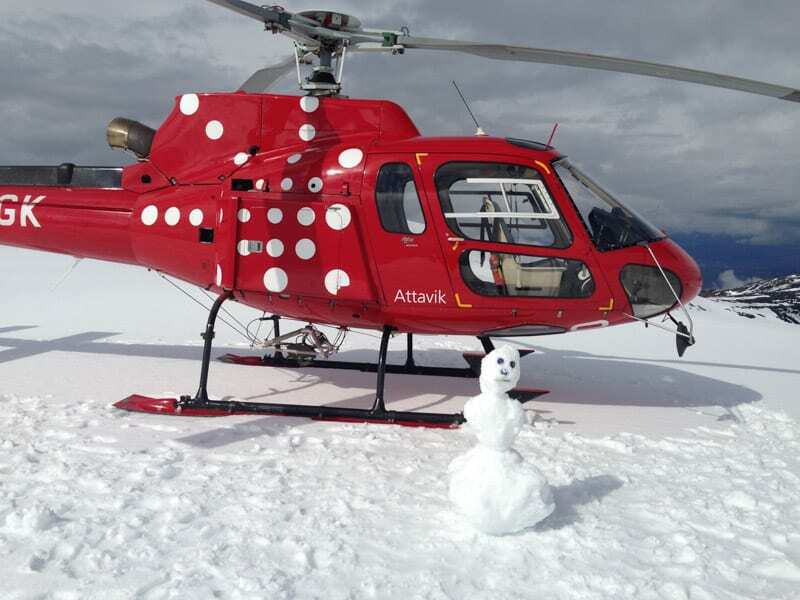 This helicopter tour lasts for roughly two-hours, incorporating a couple of our most popular tours and, most importantly, it includes 2 landings! We land at Thorisjokull Glacier (ice) as well as the Hengill Geothermal Area (fire)! 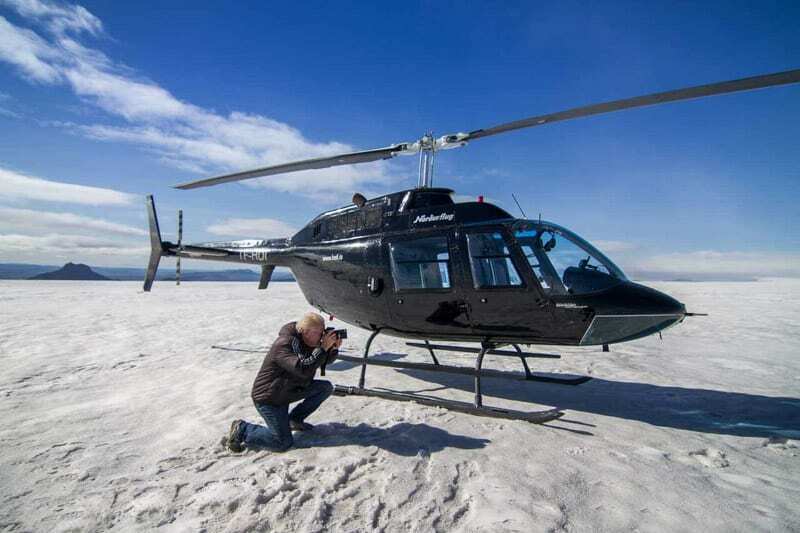 Take to the skies via helicopter from Reykjavik Domestic Airport! 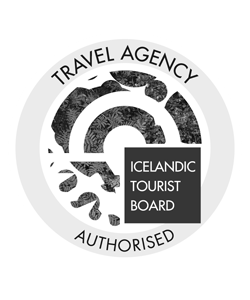 We will fly over toThorisjokull, a small glacier, and volcano in the Icelandic highlands. 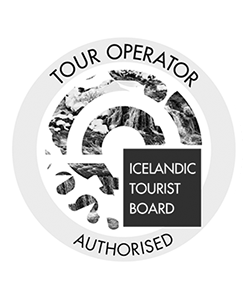 The flight there, we prove very scenic, heading over one of Iceland’s highest waterfalls- the beautiful Glymur and saving you a day of hiking and instead of offering you a view from above, inside our warm and comfortable helicopter! 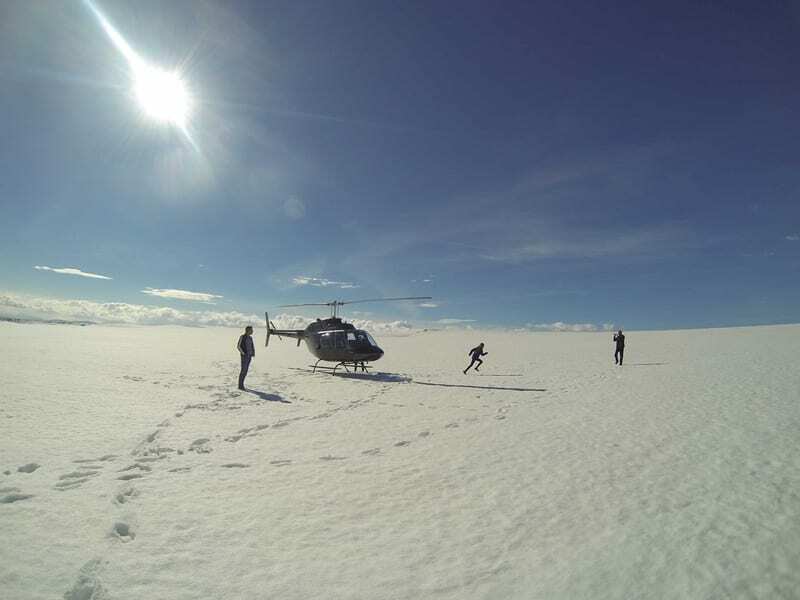 Upon landing on Thorisjokull, you are free to explore the glacier for a while, take some photos, throw a snowball, make snow angels, or simply take in the scenery and breathe in that fresh, crisp mountain air! 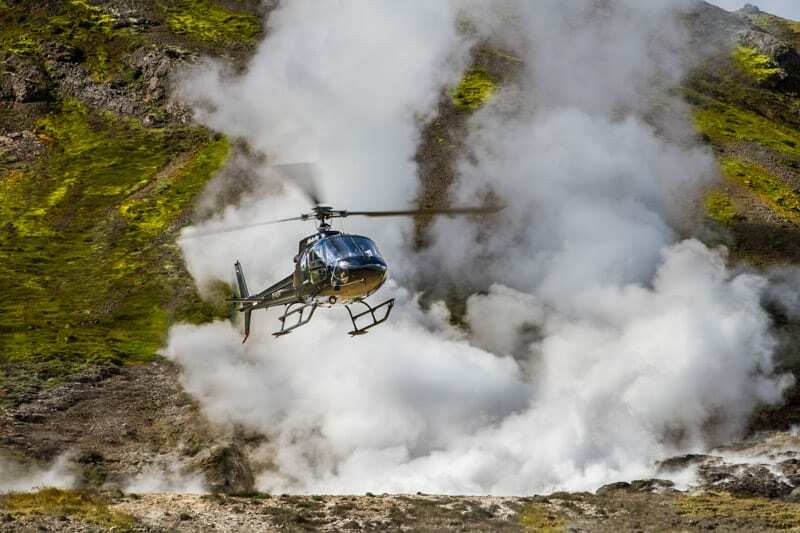 Back in the helicopter, we journey on continuing our flight over Þingvellir National Park. Home of the historic parliament site, Thingvellir is also famous for geology and tectonic plate valley. 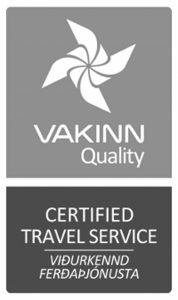 Overhead, we will also get a great view of Þingvallavatn, Iceland‘s largest natural lake. 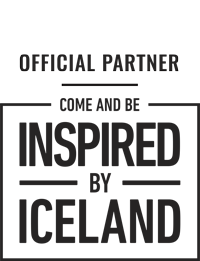 From the skies, you’ll be able to see the continental drift of the Eurasian and the North American tectonic plates, which is only fully visible from above. The second landing of this tour is in the remote valley of Hengill geothermal area. You can only get to Hegill by hiking for a few hours, or by a helicopter- much more convenient! 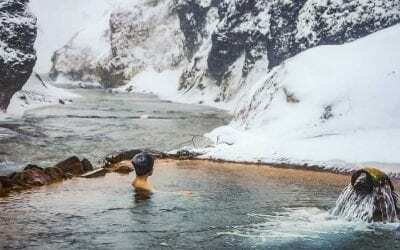 This valley has hot springs and boiling mud pots that you can walk right up to and explore. It is a magical place that is beautiful all year round in any season, summer or winter. 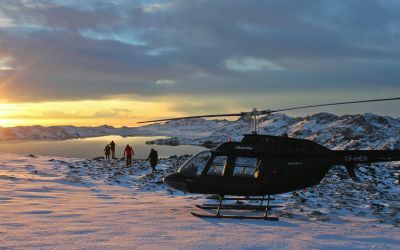 After you’ve explored the area, it’s time to jump back into the helicopter and head back to Reykjavik Domestic Airport.